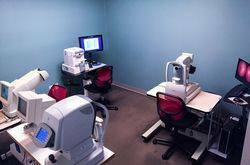 From eye exams, eyeglasses, and contact lens fittings to laser vision correction and corneal mapping, our optometrists at Fort Worth TSO provide comprehensive eye care to patients of all ages. We also treat a range of conditions such as glaucoma, the diabetic eye, dry eye and macular degeneration. Early identification of a child's vision problem is crucial. Get your children's eyes tested before school starts!